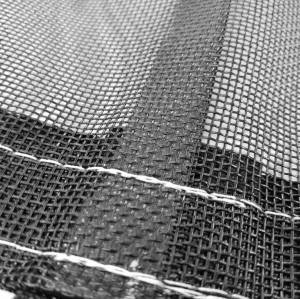 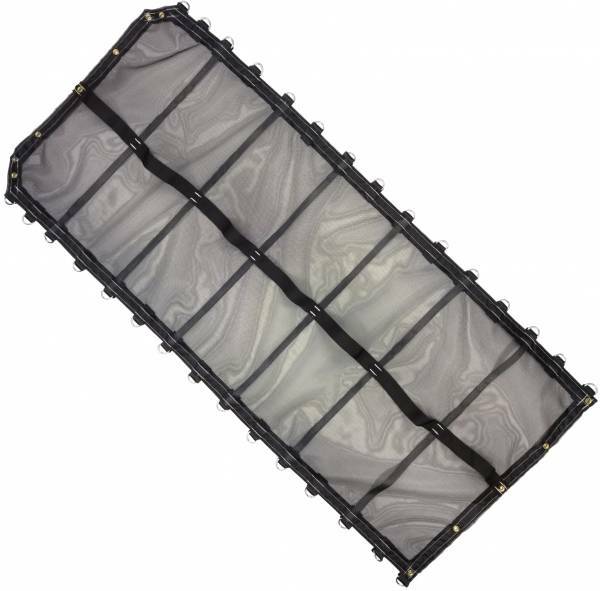 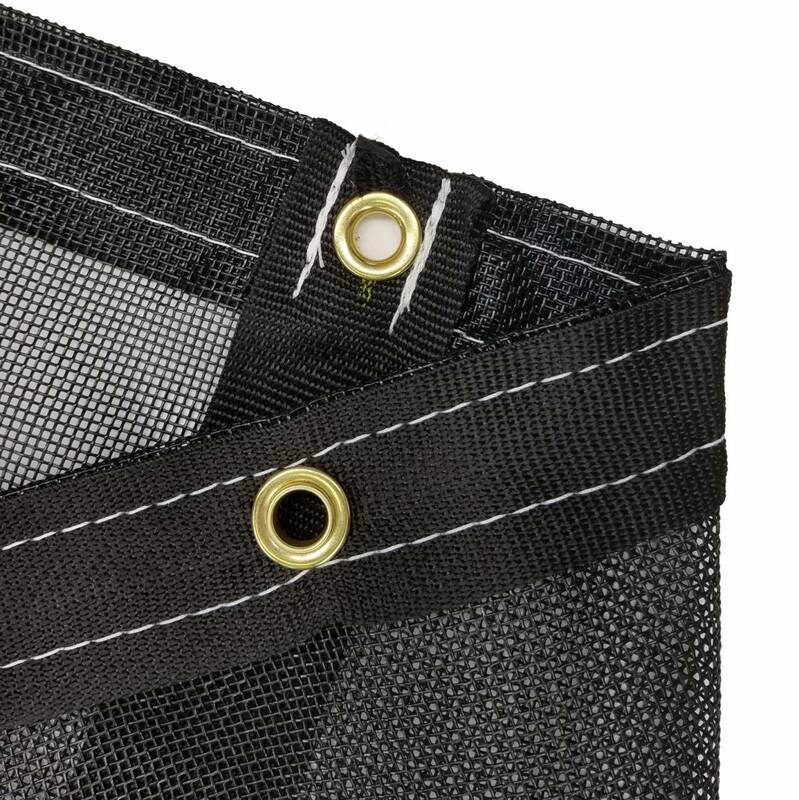 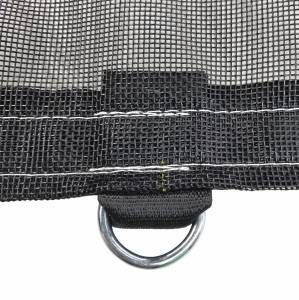 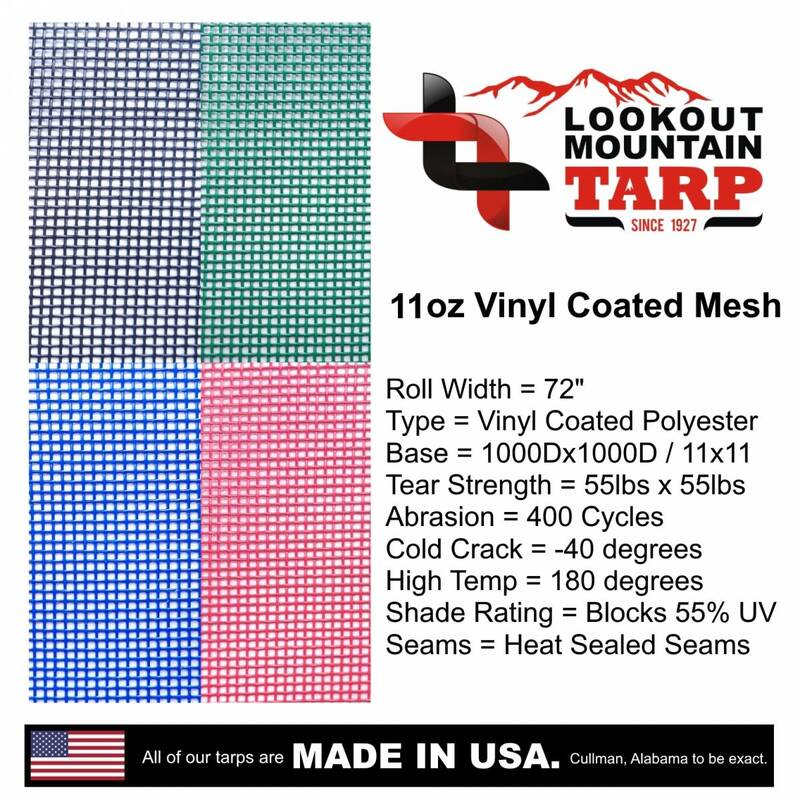 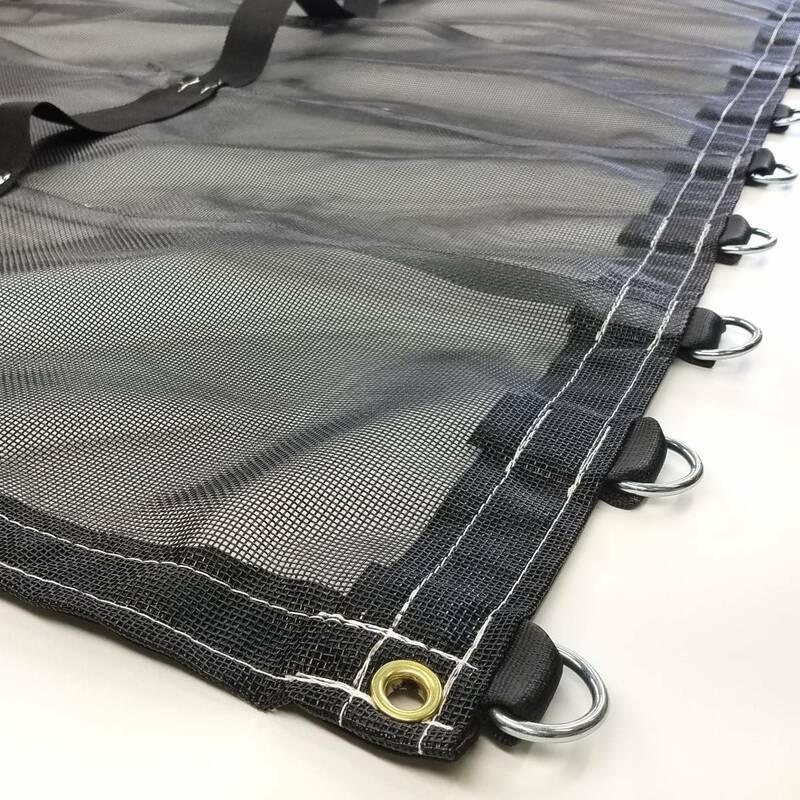 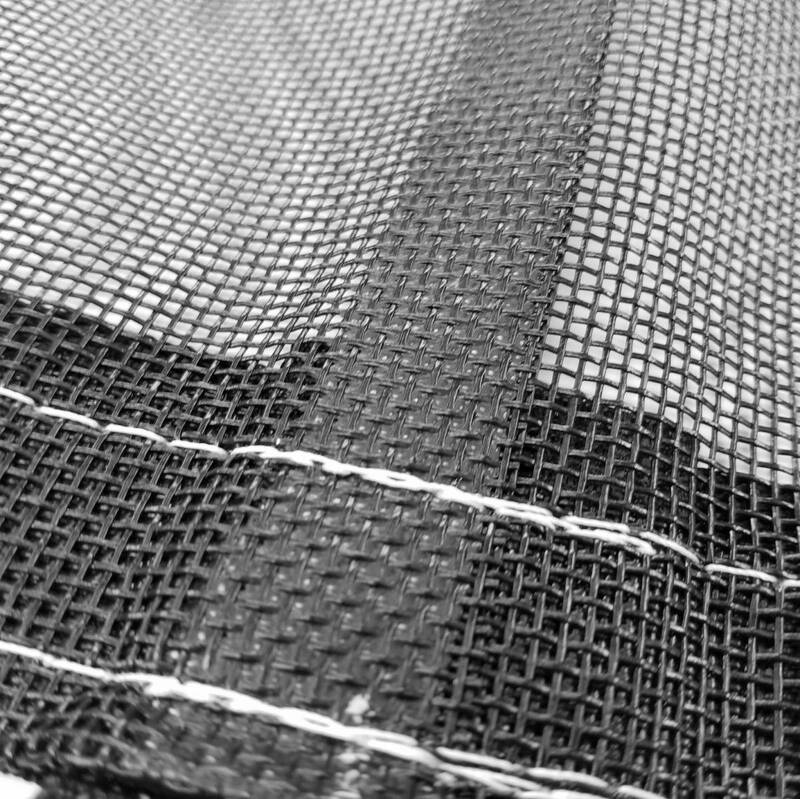 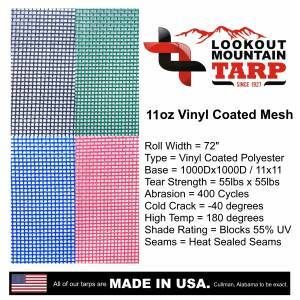 This replacement cable tarp is built using our 11-ounce vinyl coated polyester mesh fabric. 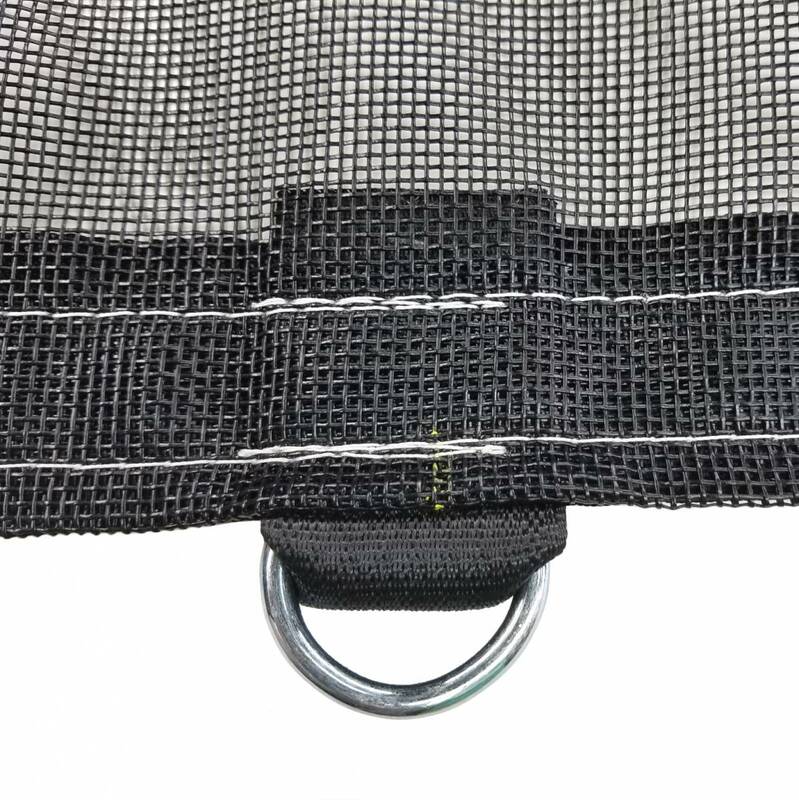 The material has an open weave that is 55% solid, so the openings are large enough for water and air to pass through freely but small enough to contain wood chips or bark. This is our most popular fabric for this style of tarp mostly due to its excellent abrasion rating.